We’re starting to find our groove this fall, and part of that is getting back into doing activities with some of the books we read. 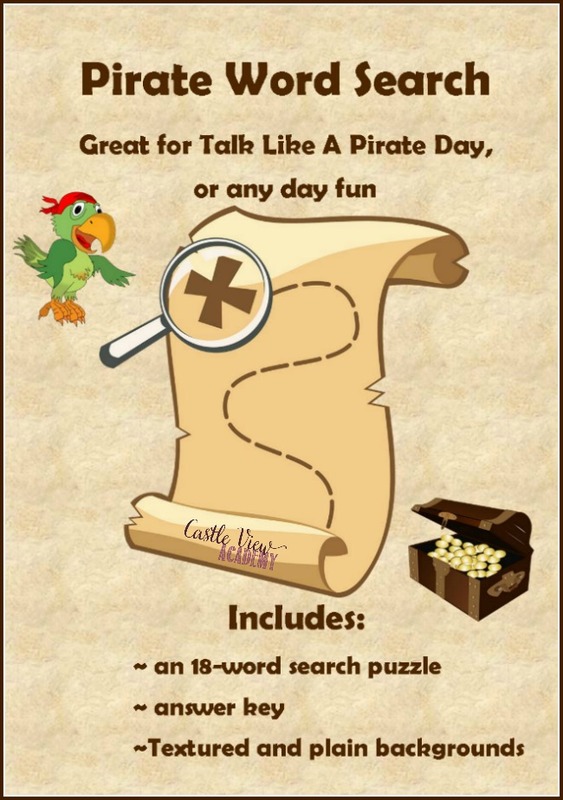 Last week Tristan lost his front tooth, and with Talk Like a Pirate Day coming up, it’s the perfect time to read My Very Own Pirate Tale and do a word search. 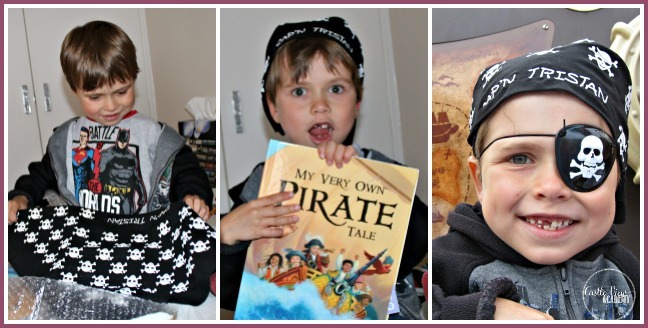 We did a review last year for I See Me of My Very Own World Adventure for Kallista so when they asked if we’d like to check out the My Very Own Pirate Tale set, it sounded like a great surprise for Tristan! 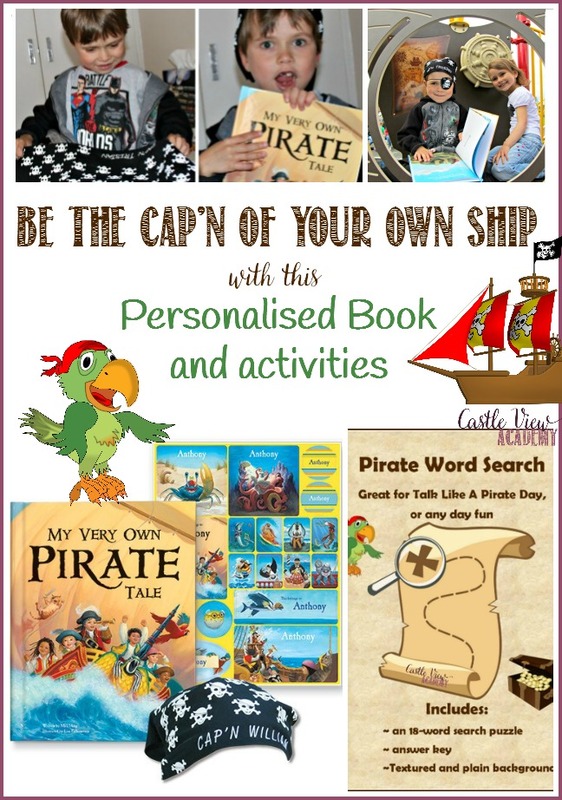 The set includes the book, My Very Own Pirate Tale, a sheet of personalised stickers and a bandana with Cap’n Tristan embroidered on it. Tristan was so surprised when he opened up this set and saw that it was just for him – including his name on the bandana and a photo of him in the book! he must have a trustworthy, loyal first mate. 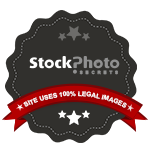 if you want to open the ‘ol treasure chest. With each turn of the page Tristan saw a letter that eventually spelled out his name. Each letter is accompanied by a full-colour page and a rhyming verse that features a creature from the sea or sky with the same letter. At the end of the book he found a treasure chest that was locked…and the secret to opening was his own name! So from first mate to Cap’n Tristan he became. Tristan was thrilled to receive this kit, and has been wearing his Cap’n Tristan bandana around the house and around the town ever since – he truly loves it! Kallista’s also in the pirate spirit and has taken out the old pirate accessories from the dress-up trunk. 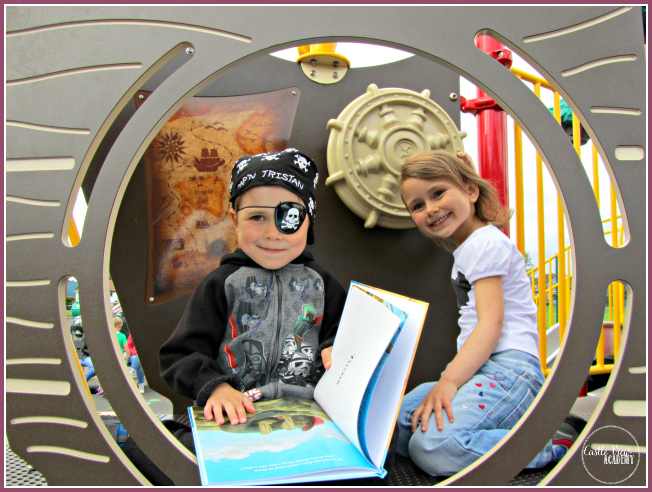 With two children so taken by the spirit of the pirate, how could I not create something fun for them to do? 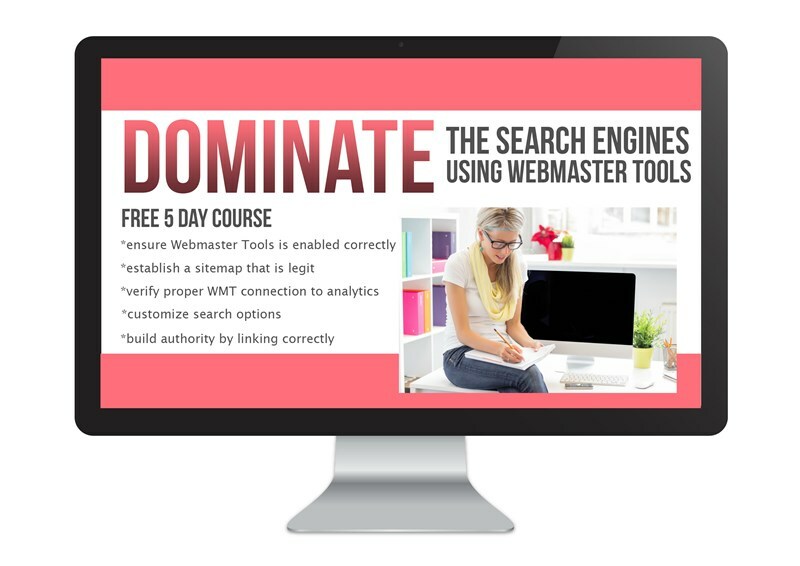 As I mentioned earlier, we’ve created a word search to go along with this book (or just for fun). Tristan and Kallista helped to choose the hidden words, and now it’s your turn to print it off and find them! Keep your good eye out soon for a pirate-themed snack Tristan created on his own! 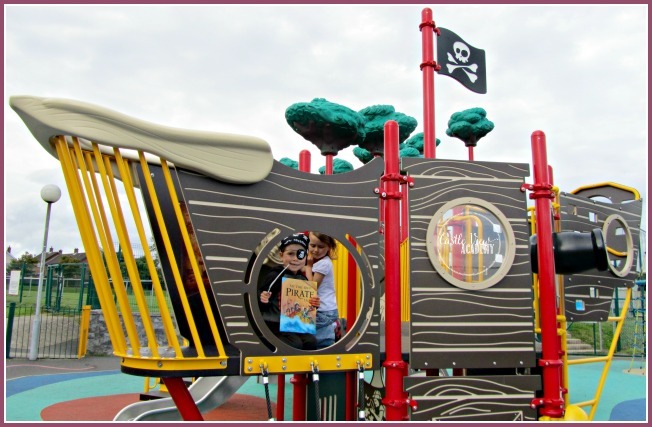 And if you’re looking for more pirate activities, we have a few here. 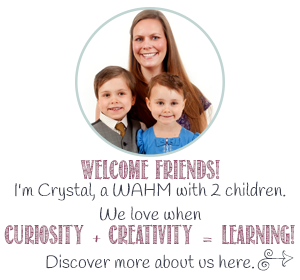 If you’d like to know more or would like to follow I See Me!, you can connect with them through their website, Facebook, Twitter, Pinterest, Instagram, Google+, and email (for updates and discounts). i love this! 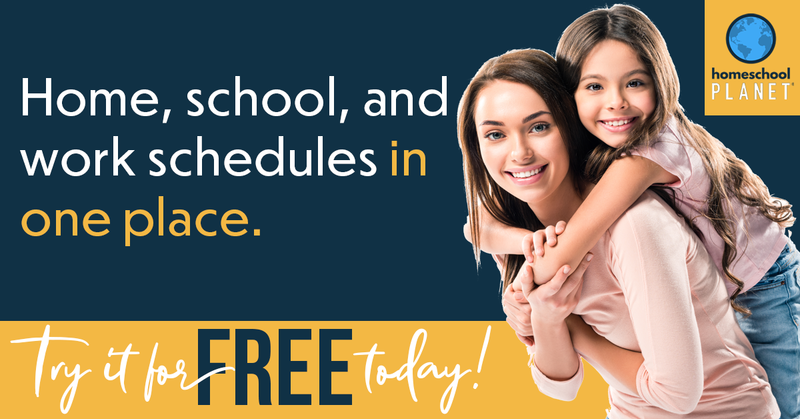 It’s so fun and educational at the same time! This was just the perfect set! I wonder if they make a Mommy-sized bandana?! We love talk like a pirate day. It’s always a fun day! Thanks for this word search.